For the last year, the Trump Administration has launched a barrage of policies to deter and punish those who come to our borders seeking protection. At the center of these attacks is the administration’s “zero-tolerance” policy, which directed that all migrants crossing the southwest border between official ports of entry be criminally prosecuted, regardless of whether they are seeking asylum or are parents traveling with children. DHS Forcibly Separated Thousands of Children from Their Parents Under the Zero-Tolerance Policy. While U.S. Customs and Border Protection (CBP) was already separating some children from their parents, as Human Rights First detailed in its January 2018 report, separations escalated tremendously in the wake of the zero-tolerance policy. Between May 5 and June 9, 2018, alone, the government separated at least 2,235 families. Asylum Seekers Face Substantial Barriers to Seeking Asylum at U.S. Ports of Entry. In defending these criminal prosecutions and family separations, the attorney general and Department of Homeland Security (DHS) secretary repeatedly asserted that the only “right” way to seek asylum is by crossing at an official port of entry. United States law is clear, however, that people who have crossed the border—no matter how they crossed—can seek asylum. Officials’ assertions that asylum seekers can only request protection at official ports-of-entry is factually, as well as legally, misleading, since—as Human Rights First researchers witnessed—border officers at many ports of entry continue to turn asylum seekers away, telling them that ports are “full,” or advising them to “wait” for days or weeks. En Masse Criminal Prosecutions that Violate Due Process and Treaty Prohibitions Sharply Increased Under the Zero-Tolerance Policy. 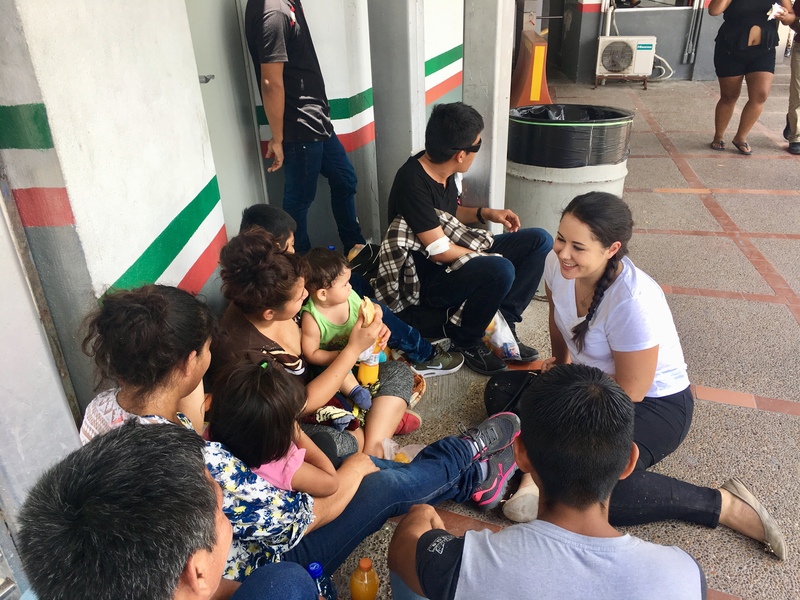 Between April and June 2018, Human Rights First researchers conducted three monitoring missions to McAllen, Brownsville, Laredo, and El Paso, Texas to gather information about the implementation and impact of these policies. Researchers visited five federal courts, seven ports of entry, and nine immigration detention facilities.